How is Zipfy different from other sleds? The biggest difference is that it has carve control. Riders can carve slalom turns down the hill. Zipfy is also compact, very light and easy to carry. And one can’t forget safety - no hard edges, no moving parts - and easy to slow down and control your speed. Is Zipfy safe? How do you slow down or stop? Zipfy is very safe. To control speed, the rider simply drops his heels and slows the sled’s momentum. For a more immediate stop, the rider lifts the handle, leans back and digs the rear of the sled into the ground. Of course, we recommend staying well clear of obstacles, including trees and roads. And foolproof safety, always wear a helmet when riding. How do you carve turns? With a low center of gravity and the rail design on the underbelly of the sled, Zipfy riders can carve down the slopes. To carve turns, simply lean to the side while reaching back, with one hand holding the center handle and the other brushing the ground. And just like that, you are carving down the hill. In fact, annual world series competitions are designed as slalom courses down mountain slopes where riders wind their way down the hill. For optimal carving performance, lean as far back as you can and use the friction of your hand against the ground behind you. With this technique, you’ll be able to carve short radius turns around obstacles. Where do you sit? Where do your legs go? Just sit on the vinyl seat area, hold the handle, put your legs straight, and your feet forward and away you go. Zipfy’s topside comfortably supports the rider’s extended legs. This design allows riders to effortlessly drop their legs and dig in their heels to control speed when necessary. What does the name Zipfy mean? Zipfy, pronounced [zip‘ fee], comes from a shortened colloquial Austrian term ’zipfel’ bob which means ‘stick handle’ sled. It is also handy to think of the term “zip” for fast and “fy” [‘fee] as in comfy, as the seat pad is form fitting for a comfortable ride. Zipfy is for what ages? Zipfy is for both kids and adults. Zipfy was designed for a weight capacity of up to 250 lbs and comfortably seats riders of all ages. Many claim that 3 and 4 year olds can ride too, but we recommend ages 5 and up. Zipfy Junior, on the other hand, is for ages 3 to 5. Where did the design for Zipfy originate? The stick handle sled design traces back to a small town in the Bavarian Alps near Munich and Salzburg where it was one day, in the mid 1960’s, conceived of as an improvement to sliding down the hill on coal shovels. That first design had a loyal following for years to come in the German-speaking localities of Tyrol. 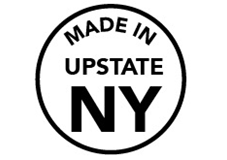 Years later, in the early 2000’s, a couple of entrepreneurial Canadians worked together to modernize the product’s industrial design for a larger audience and collaborated with a blow molder in upstate New York to commercialize what we now know as Zipfy. Does Zipfy come in more than one size or style? Zipfy currently comes in two sizes - Classic and Junior. Classic is for ages 5 and up and Junior is recommended for ages 3 to 5. As for styles, Zipfy comes in a rainbow of colors, firefly red, electric eel green, blue ice, savanna yellow, pink sapphire, and more. Over the years, there have also been numerous limited edition artist series, Olympic Team editions, and custom winter festival editions. What do the numbers on the side race decals represent? The numbers simply make reference to competitive fun and do not refer to size or functionality. On a practical level, the numbers allow riders to distinguish one sled from the other of the same color.